The F.B.I. raids on President Trump's lawyer, Michael Cohen, are bad news, and will most likely lead to criminal charges. In another twist to the ongoing investigations of Donald Trump and his interactions, the F.B.I. raided the office of Trump’s personal lawyer, Michael Cohen, last week. It is unclear what wrongdoing prosecutors were looking for, but for such a raid to occur means that the standard of evidence to obtain such a warrant from a judge is much higher than in normal scenarios. Trump wasted no time and took to Twitter to proclaim, “Attorney-client privilege is dead!” Court document’s revealed that Cohen had been under criminal investigation for months before the raid and legal analysts believe that criminal charges against Cohen are most likely imminent. The federal judge in the case also wondered if Cohen’s relationship with Trump falls under attorney-client privilege and ordered Cohen to provide a list of clients by the following Monday. Cohen only produced a client list of three people, one of which turned out to be Fox News commentator and vehement Trump supporter Sean Hannity. Hannity denied being a formal client of Cohen. If the attorney-client privilege does not apply to Cohen and Trump much of the protections the two claim will be invalid. This has profound consequences, especially in the cases that involve hush money paid to cover up Trump’s affairs with women which could violate campaign finance laws. The raids were not part of the investigation by Special Counsel Robert Mueller, however, Cohen is a person of interest to that investigation. The news publisher McClatchy released a report on Friday, based on multiple sources, that Mueller has evidence that Cohen was in Progue in 2016. This is very significant because, if true, it lends credence to the Steele Dossier which reported that Michael Cohen had met in Prague with a “powerful” Kremlin official to strategize over the 2016 U.S. presidential election. Or, in other words, it would be the “collusion” with Russia Trump has vehemently denied and is being investigated for by Mueller. 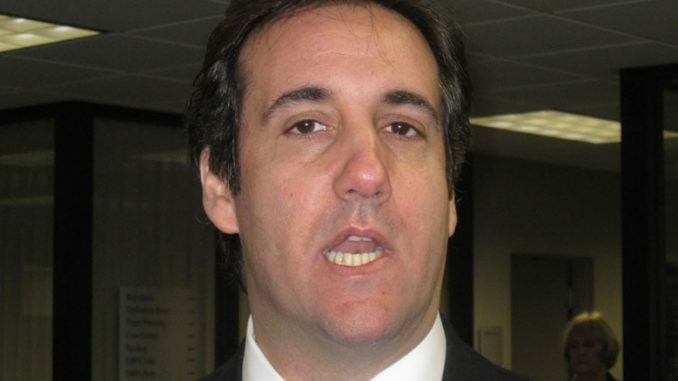 Cohen has repeatedly denied he has ever been to Prague. If the McClatchy report is true, Mueller’s investigation is now at Trump’s front door. Mueller’s noose has been slowly tightening since the investigation began, but now it is tighter than ever. And on top of that, with the raid on Michael Cohen’s office, who knows what else will come to light to investigators? There are reports that Trump’s close aids believe that the investigation of Michael Cohen poses a bigger and more immediate threat than the Mueller investigation.